This month we are really excited to welcome Samantha Cohen to speak at Women in Tech! As always, there'll be free drinks and food for all thanks to our fantastic sponsors Commify and JH, and our new sponsors Capital One and MHR! Everyone is welcome and there are no tickets required. Just turn up - it's entirely free! UX Clichés: Between The Devil And The Deep Blue Sea, Is All Fair In Love And War? We are all guilty of a good cliché, dropping them absentmindedly into everyday conversation. It is one thing that betrays the lack of original thought you can’t help but blurt out during any kind of project feedback session. In this talk we will look into the cringy world of UX clichés; what they really mean and how you should challenge and overcome them. Sam is Head of Product Design at Mitrefinch, a Nottingham and York based software company. She leads a team of 8 that include Product Owners, Business Analysts and UX Professionals. She spent the last 8 years in and around specific UX type roles, which curiously can date back to becoming a passion that was born out of designing Buffy the Vampire Slayer websites via GeoCities at the age of about 10. 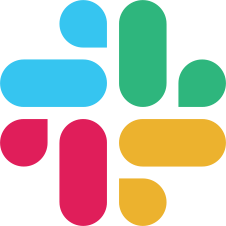 Sam self-taught herself into a UX Consultant role at Ideagen back in 2012 and has progressed her career across design, research and UX rapidly ever since. Her proudest career moment so far was being nominated as a Nottingham Women in Business finalist in 2017 under the Digital Ambassador category while leading a research team at MHR. In her spare time Sam loves to lose days watching real crime documentaries, researching and going on sunny holidays, replying to all messages via GIFs and emojis and spending all other hours spare with her Shih Tzu, The Womble (and the boyf of course!). To celebrate moving to our new, bigger venue, this month at WiT we have a whole pile of goodies for you to win! Feminists Don’t Wear Pink - an urgent and empowering collection of new writing from a variety of women – from teenage activists to Hollywood actresses. Often funny, sometimes surprising, and always inspiring, the book aims to bridge the gap between feminist hashtags and scholarly texts by giving women the space to explain how they actually feel about the F word. So Here I Am - the first dedicated collection of seminal speeches by women from around the world, So Here I Am is about women at the forefront of change - within politics, science, human rights and media; discussing everything from free love, anti-war, scientific discoveries, race, gender and women's rights. From Emmeline Pankhurst's 'Freedom or Death' speech and Marie Curie's trailblazing Nobel lecture, to Michelle Obama speaking on parenthood in politics and Black Lives Matter co-founder Alicia Garza's stirring ode to black women, the words collected here are empowering, engaging and inspiring. This anthology of outspoken women throughout history is essential reading for anyone who believes that change is not only possible, it is necessary. The Guilty Feminist - a funny, joyful, frank and inspiring book about embracing both feminism and our imperfections, from the creator of the hit comedy podcast, Deborah Frances-White. From inclusion to the secret autonomy in rom coms, from effective activism to what poker can tell us about power structures, Deborah explores what it means to be a twenty-first-century feminist, and encourages us to make the world better for everyone. The Periodic Table Of Feminism - the history of feminism told through its most prominent advocates, including a diverse range of international names and faces. 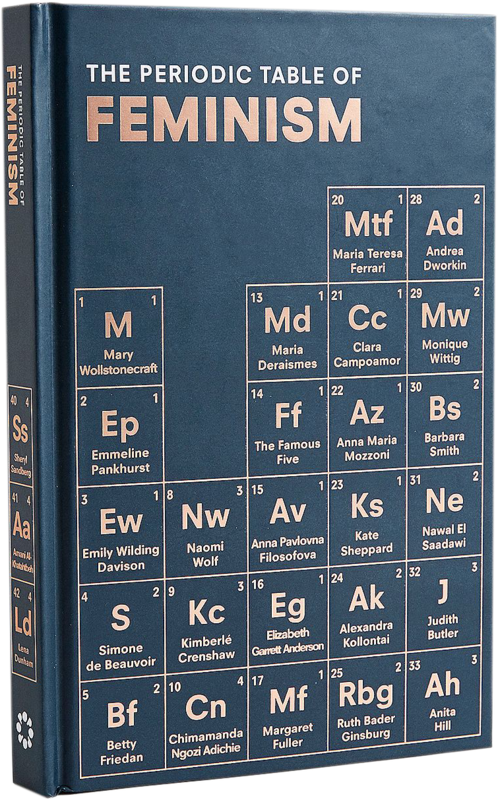 The Periodic Table of Feminism is an empowering, engaging and informed look at the feminist movement through the international figures who have shaped it, from Mary Wollstonecraft to Caitlin Moran by way of Simone de Beauvoir and Oprah. Featuring 130 figures as well as 10 additional ‘top ten’ lists, the book will offer new angles on famous faces as well as introduce you to some unsung heroes. Attend and tweet on the #WiTNotts hashtag to be in with a chance of winning any one of these awesome prizes!